If you’ve been thinking about getting Amazon Prime, then today is the day to do it! Today only Amazon has lowered there prize on the very popular Amazon Prime to only $79. This $79 will cover your membership for an entire year. That means FREE Shipping, FREE Prime Video, FREE Ad Free Music Streaming, FREE Unlimited Books, Magazines and More! I’ve been a a member of Amazon Prime for about 4 years now and let me tell you, it’s worth every penny. I use it year round but I use it a lot, almost daily, during the holidays. Amazon always has some of the best prices on toys, games, gifts, etc. So I can buy whatever item I want (whether it’s big or small) and don’t have to worry about shipping. So what are you waiting for? Go Sign up TODAY and take advantage of this one-time offer that’s too good to pass up. Still Not Sure? You can also get a free month trial of Amazon Prime. Just Sign Up Here. You Can cancel anytime. Looking for the Perfect Gift? Give Someone Amazon Prime! That would be a gift anyone would love. 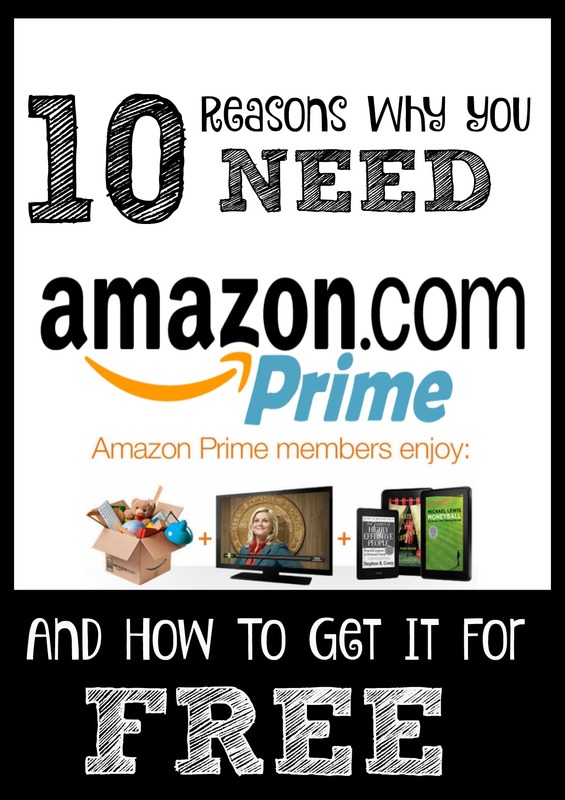 Check Out One of My recent Posts on 10 Reasons Why You NEED Amazon Prime.